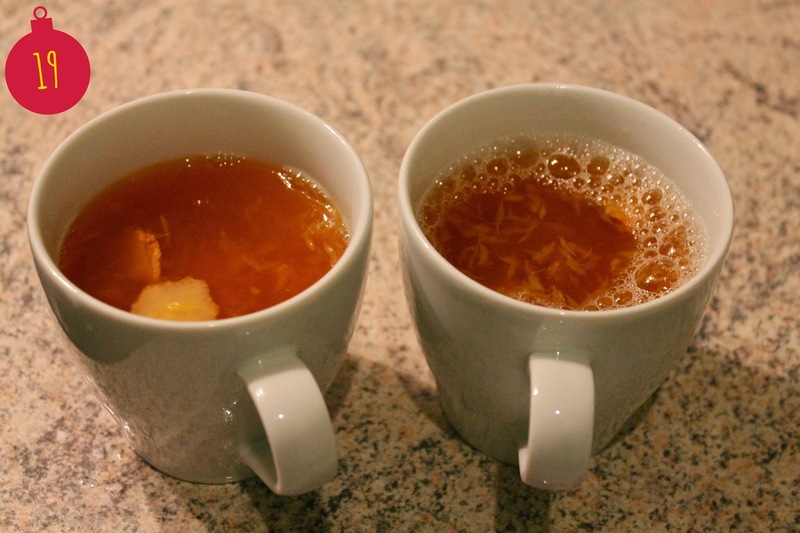 what could you make feel warm in winter faster than a cup of tasty hot punch? Therefore my boyfriend and I cooked a pot for our friends yesterday and here comes the recipe. 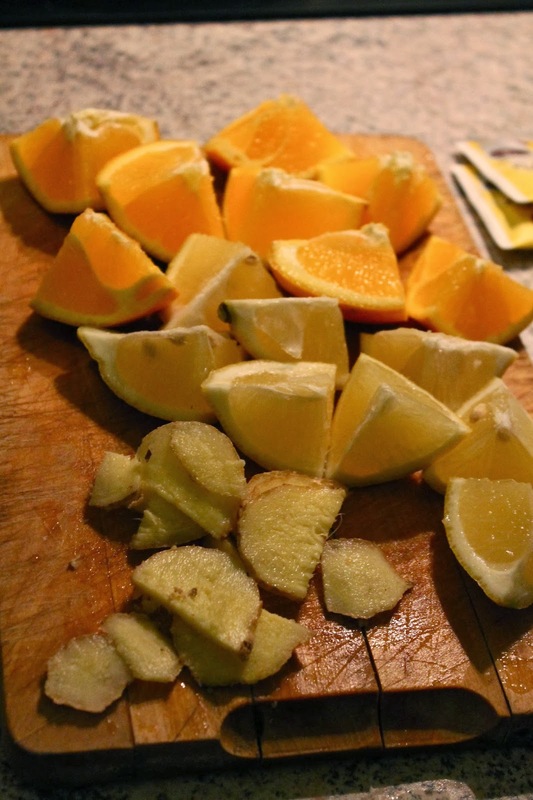 Cut the oranges and lemons into small pieces and the ginger into thin slices. Put the fruit into the boiling water and let simmer for about 15 minutes. Squash the fruit with a cooking spoon or similar and sieve the fruit into a bowl or jug. Continue squashing and put the fruit pulp (without the fruit skins) back into the pot. Add glühwein spices (we used two teabags) and sugar as you like. If you don't get the spices ready-made you can mix the spice blend yourself out of cinnamon, cardamom and cloves.